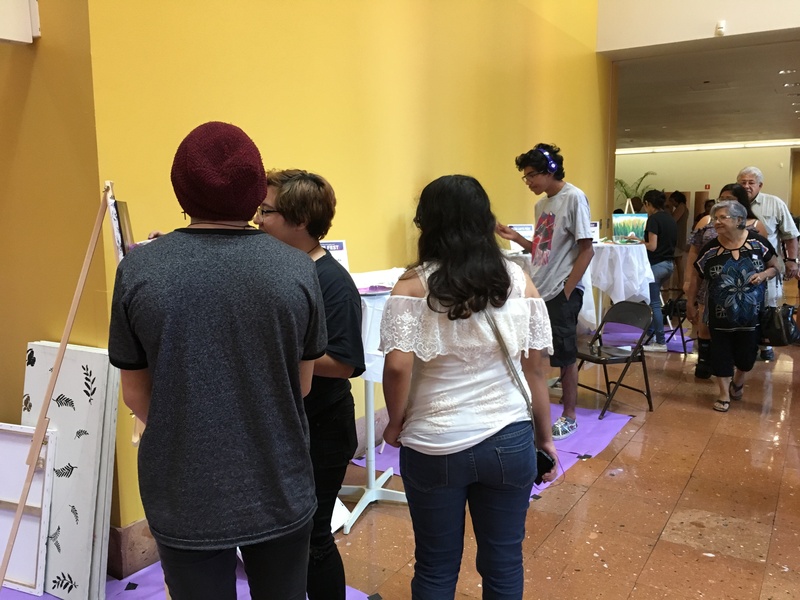 Teenagers have an opportunity to participate in the Teen Arts Fest Art Slam! The Art Slam! is a competition amongst young talented artists to showcase their skills in a timed painting competition. Each young artist must bring your own canvas, it may be pre-sketched, or pre-grided. All supplies to include acrylics, brushes, a palette, an and easel will be available to all participants. Feel free to bring an apron to not ruin your clothes. All interested please reserve your spot before time runs out! Send an email to SAPLTeenArtsFest@gmail.com with your name, age, and school name. The Art Slam! will begin at 12pm and all brushes must be off the canvas at 3pm. Afterwards our judges will select the 1st, 2nd, and 3rd prize winners. All participants please arrive no later than 11:30 to sign in. 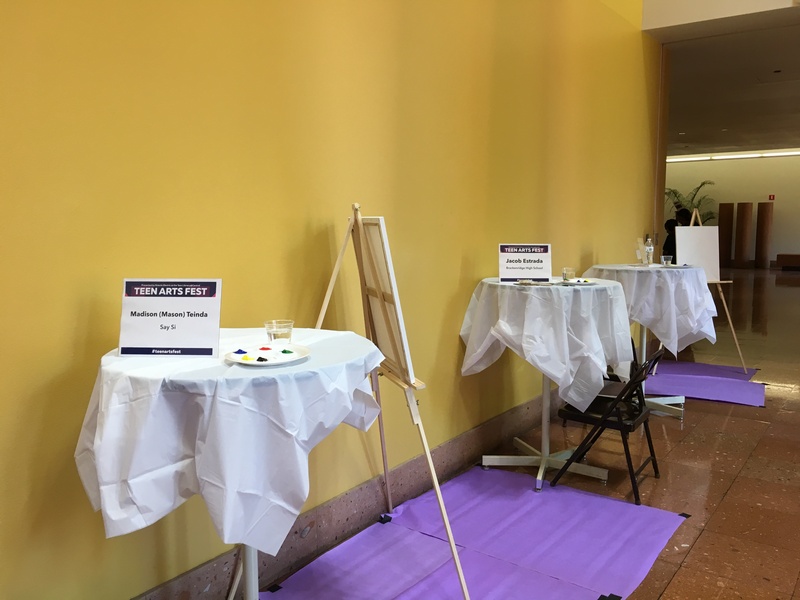 Please check in at the lobby in front of the circulation desk, at the Teen Arts Fest booth. 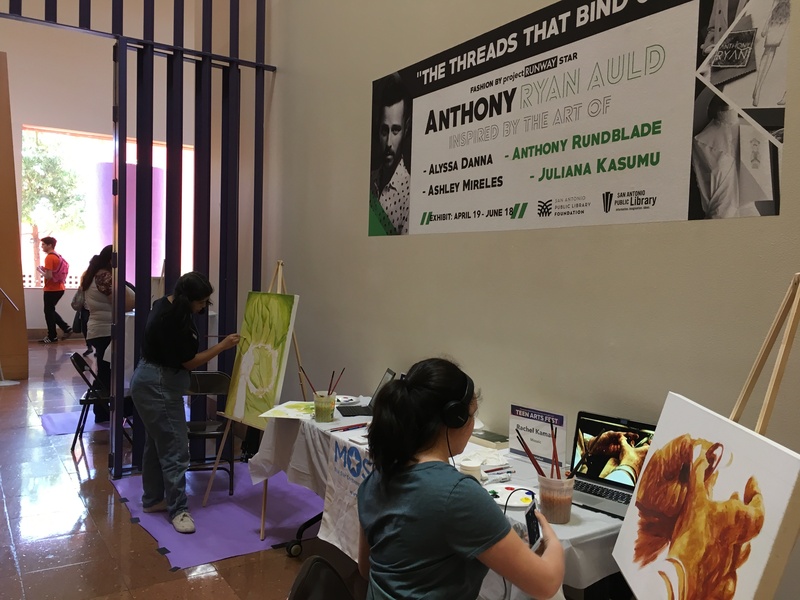 The Art Slam! will take place in the art gallery and spill over to the lobby around it.